Details: It’s yet another fabulous lineup this year and we’ll see the return of the Old 97’s, grammy award-winners La Santa Cecilia, Mexico City’s alternative Rock band Torreblanca, The Autumn Defense (comprised of Wilco members Pat Sansone and John Stirratt), The Jayhawks, Drive-By Truckers, and the incredible core of every festival so far: Joseph Arthur, Kev’n Kinney, Chuck Prophet, and Steven Wynn. This will be the TSMF debut for Death Cab for Cutie, Tigria, Jeff Tweedy (lead singer and guitarist of Wilco), Mark Eitzel (founding member of the American Music Club) and FRANKIE, an all-female indie rock band from Vancouver. All shows will be in the Hotel California with the exception of the show on the 23rd, which will be in the town plaza. Why It’s Fun: Peter Buck of REM conceived of and curates this event. Not only does he play, he invites his musician buddies from the US and Mexico to come play to raise money for the Palapa Society and other Todos Santos charities. And it turns out that Peter Buck’s friends are all these incredibly nice people who are insanely great musicians. It’s nothing but fantastic music and great fun pulsing through the streets of town for nights on end – you don’t want to miss it! Video: Check it out here! Why it’s fun: It’s a week-long celebration of Mexican culture that typically features live music, dance and theatre performances, painting and drawing exhibitions, lectures on local environmental and social issues, piano and poetry recitals and lots more. Artisans from different parts of Mexico also set up shop next to the church to sell their crafts. Diverse, fun and engaging. Special Note: The Todos Santos Open Artist Studio Tour will be February 6 and 7, 2016. Over 40 studios participated in 2015 and mediums included oils, pastels, watercolors, mixed media, encaustic, ceramics, sculpture and photography. Proceeds from the Tour go to the Children’s Art Fund of The Palapa Society Of Todos Santos, A.C. It’s a wonderful event. Organizer: Sylvia Perel, director of the San Francisco Latino Film Festival and the Latino Festival of Redwood City, California. Benefits: Youth in Video program, teaching the children of the Todos Santos area about film making. They usually present a film they’ve made at the festival each year. Why it’s fun: This fantastic festival brings together a terrific selection of feature films, documentaries and shorts from across Mexico and Latin America that many folks would otherwise never have the opportunity to see. Many well-known film directors attend to present their films and lead audience discussions. It’s a truly great event. Why it’s fun: This is a super fun gathering of environmental and community groups engaged in conserving, preserving and protecting the natural beauty, bounty and health of Baja California Sur. 2016 exhibitors include Whale Shark Mexico, CONANP (National Commission of Natural Protected Areas), CIBNOR (Center of Biological Investigations of the Northwest), Punto Verde (Todos Santos Recycling), SINADES (Sistemas Naturales y Desarrollo), Alianza Keloni AC, ACTS (Todos Santos Community Association), Archipelago Espiritu Santo, ECOVIS, Islas de Golfo, Pueblo Limpio/Pueblo Magico, Todos Santos Builders, Rescatando Nuestros Arrecifes y Manglares (Save Our Reefs and Mangroves), CONAFOR (National Forestry Commission), and the Bird and Turtle Laboratories of the Autonomous University of Baja California Sur. Benefits: Silent auctions of previous years have benefitted the local orphanage and the Todos Santos fire department. Why it’s fun: The main festival is in the town plaza on Sunday, April 24, with wine-pairing dinners on the preceding nights. The GastroVino is a wonderful celebration of the food and wines of Baja California – and you get to indulge in plenty of both! It’s a great opportunity to get to know local chefs from Todos Santos (and their food) and wine makers from Baja’s Valle de Guadalupe wine-growing region (and their wines). Terrific live music performances throughout the day. It’s fabulous! Why it’s fun: Ripe, juicy mangoes everywhere! There’s also dancing in the town square, polka bands, a parade of horsemen (cabalgata), folkloric ballet, artisan products, coronation of the Mango Festival Queen and much more. Lots of fun for the family. Date: Our saint’s day is October 12, and there are usually 5 days of celebration around then. Details when available. 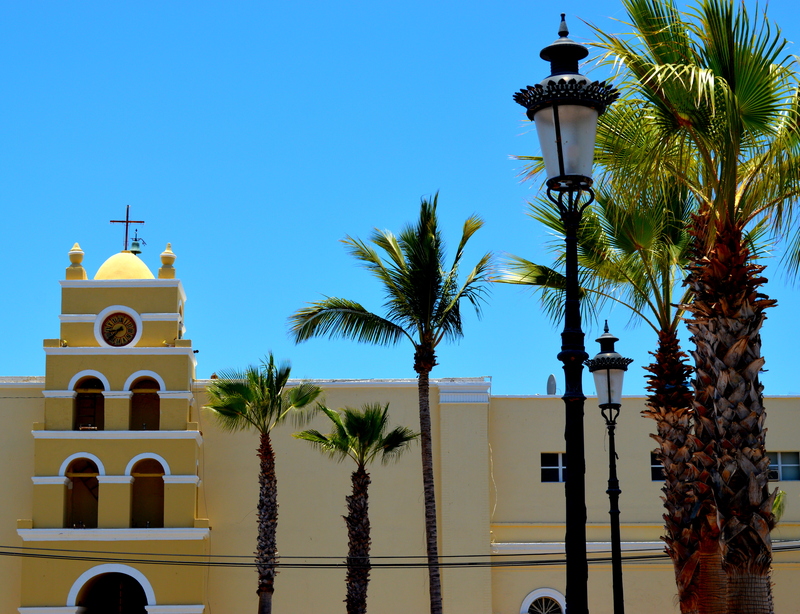 Why It’s Fun: It’s a celebration of the founding of Todos Santos and our patron saint, Pilar. Lots of music, dancing, regional foods, arts and more. There is typically a parade of horsemen and a wonderful horse show October 13 and 14. Great time for the whole family. ___________________________________________________________________ Other Festivals There is also an annual Chili and Strawberry Festival in late March/early April in Pescadero, an annual Baja Reggae Festival at Los Cerritos Beach in April (or so), and there’s even a Shark Festival in November. And that’s just the festivals! Please feel free to contact us to learn more about the many interesting/exciting/engaging events organized in town each year – and to plan your adventures to accompany them. Todos Santos Eco Adventures. 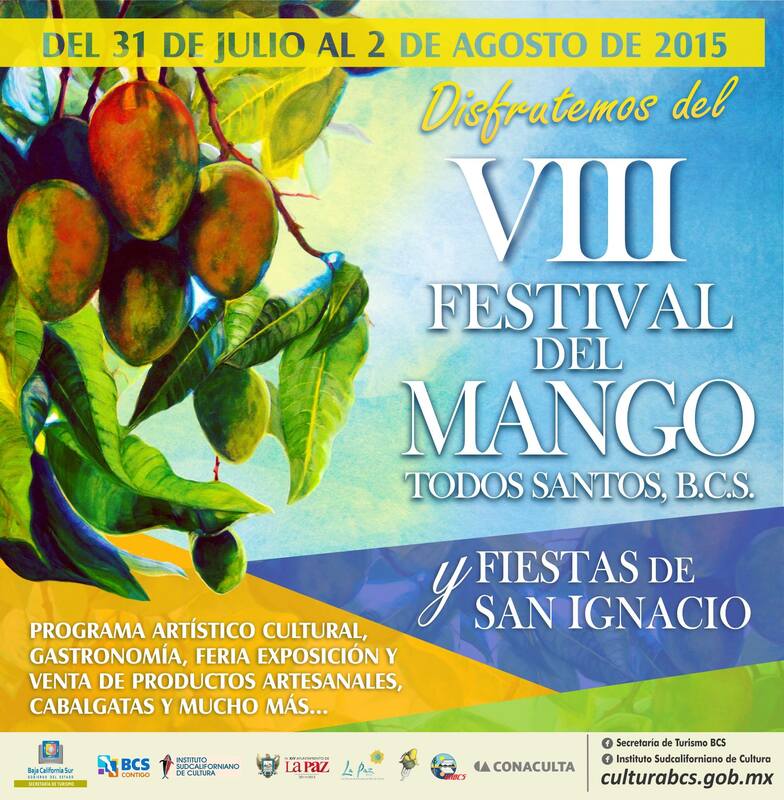 This entry was posted on July 24, 2015 by Todos Santos Eco Adventures in Culture, Food, Live Music Todos Santos and tagged EcoExpo 2016, Festival de Cine de Todos Santos, Festival del Arte de Todos Santos, Festival del Dia de Nuestra Senora del Pilar, GastroVino Festival de Todos Santos, Mango Festival y Fiestas de San Ignacio en Todos Santos, peter buck, Todos Santos Art Festival, Todos Santos Film Festival, Todos Santos Foundation Festival, Todos Santos Music Festival.